Help your child develop these amazing traits today - just fill out this form to get started! We at American Hapkido MMA Training Center are very concerned with the well being and education of our children. We understand that younger students may have shorter attention span. Our unique children's program uses interesting and enjoyable methods to keep the student's attention and teach our young students skills that they can use for life. 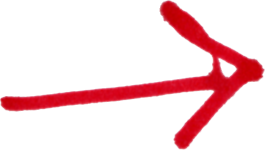 We promote non-violent resolutions to conflict. Our methods help children explore and understand conflict through role-play and other exercises. Absolutely not! We teach kids martial arts and self-defense as a tool for personal growth and development, not so they can arm themselves to hurt their friends and neighbors. At American Hapkido MMA, kids learn to treat other living beings with respect and to act kindly toward them. From the outset at white belt, we explain to kids that using martial arts is always an element of last resort. Even more, our instructors introduce kids to concepts of conflict avoidance such as looking people in the eye and speaking clearly and confidently. WHAT IF MY CHILD'S NOT ATHLETIC? WILL HE OR HER HAVE A HARD TIME? American Hapkido MMA kids classes specialize in fitness. Exercise is an integral component of our program. In fact, every single class includes a fun, challenging workout. Children that never previously enjoyed fitness are now pushing themselves to do as many squats, pull ups, and sit ups as they can because they love to see if they can do more than last time. We base our fitness on the idea of high intensity, functional, and always changing workouts. All of our exercises are scalable so that no matter the athletic ability of each child, they will feel success and build their self-esteem and physical ability. We encourage self-competition, that is reminding children that they can always push themselves to do just one more rep, or go just a bit further than they thought they could. Some kids learn quicker than others – but the children who advance quickly are not valued more than the kids who advance slowly. In fact, their skill sets are often different. While some kids might not be able to do a pull up at first but can do squats very well, there may be another child with the opposite situation. Because of that, no matter one’s current athletic level, now is the perfect time to start. Without a doubt, children at American Hapkido learn a talent they can be proud of, and the AHMMA curriculum incorporates a variety of training methods that will help each child find their own talent. American Hapkido classes will have kids attempting skills they have never tried before from kicking and punching, to rolling and jumping, to grappling and weapons training. Within each area of training, children will generally gravitate toward one area they want to excel in most, and over time, they will take great pride in their abilities. We have programs for all ages starting from age 3. Students ages 3-5 enroll in Little Dragons Karate, a separate program located within American Hapkido MMA TC. We also have programs for kids ages 6 and up including teen and adult classes. No age is too young or too old for our programs. Each of our classes is tailored for specific ages group with specialized curriculum. Have children gotten hurt in classes before? Yes, some have. But most of these injuries are minor and accidental, such as hitting a bag with the wrong part of the foot or falling incorrectly. WILL MY CHILD HAVE FUN? AND WILL THEY WANT TO STICK WITH THE PROGRAM? Absolutely! Every instructor at American Hapkido MMA wants each child to leave class smiling, sweating, and learning. And because AHMMA children are always challenging themselves to reach new heights, they’ll want to stick with the program. It will become a part of their life as if it were always there. In any given class, we might climb or swing from ropes, use gymnastic apparatus, jump on and over obstacles such as trampolines and boxes, and perform a variety of safe rolls. By the end of class, children wish they could stay for another one. Because our curriculum is constantly developing, there is never a dull moment at American Hapkido. ARE MARTIAL ARTS JUST FOR BOYS? OR CAN GIRLS TAKE MARTIAL ARTS TOO? The truth is, there are just as many girls in our classes as there are boys. The girls at American Hapkido are just as tough as boys. Many are even tougher! Again, our program is designed so that beginners spend most of their time working with instructors rather than with each other. Our philosophy is at white, orange, and yellow belts, students learn to control themselves and build up their skills. At green belt and above, then they begin working much more with partners. At the highest ranks, they experience teamwork at its best and truest. American Hapkido MMA is well worth the investment for our children. We"ve seen their enthusiasm from the moment they entered this program. We like the supportive atmosphere and feel blessed to be a part of this group. In this program, our children have learned how to properly handle major issues such as bullying, self-esteem and honesty. The instructors continuously model positive behavior for the group. As our children learn to face challenges with confidence, they become better equipped for life in general. Knowing that they are surrounded by accountable and caring people who have a sincere interest in their life"s journey means a great deal to us. Both my children are a part of the after school program and take classes daily. I am so amazed at the growth I have seen in them. They have gained confidence, self control and are motivated to do their best in martial arts as well as in their home and school life. They absolutely cherish the friendships they have made and the encouragement they receive from all the other students. 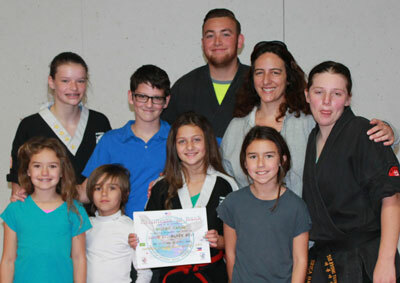 I can"t say enough positive things about Master Anderson and Mrs. Anderson...they not only teach the children martial arts but they foster excellence in all the students and invest in each and everyone in the Hapkido family. The instructors are top notch and the students are focused, learning and involved in every class. 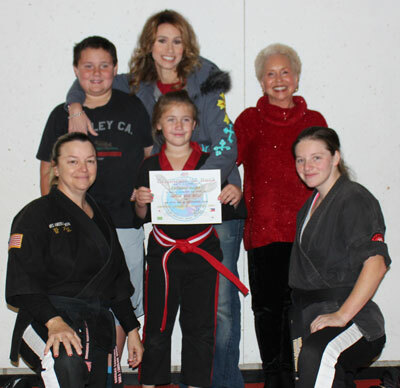 I am thrilled and thankful to American Hapkido for their commitment to my children! There is no other program in Moorpark that compares to this and no better investment in my children . 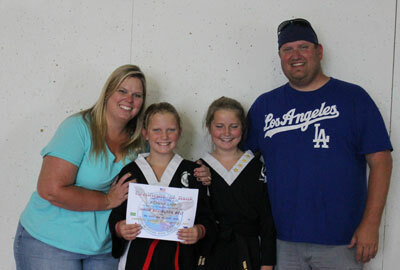 Thank you so much to The Andersons and all the amazing martial arts trainers at American Hapkido for providing a safe, fun, yet hardworking environment for my daughters to learn and train. Not only are they learning important skills through disciplined martial arts practice, but they have a natural and built-in support and social environment that becomes like extended family. The training has increased the self confidence of both my daughters immeasurably and watching them blossom in skill and confidence at the studio has been a blessing and my grateful privilege. 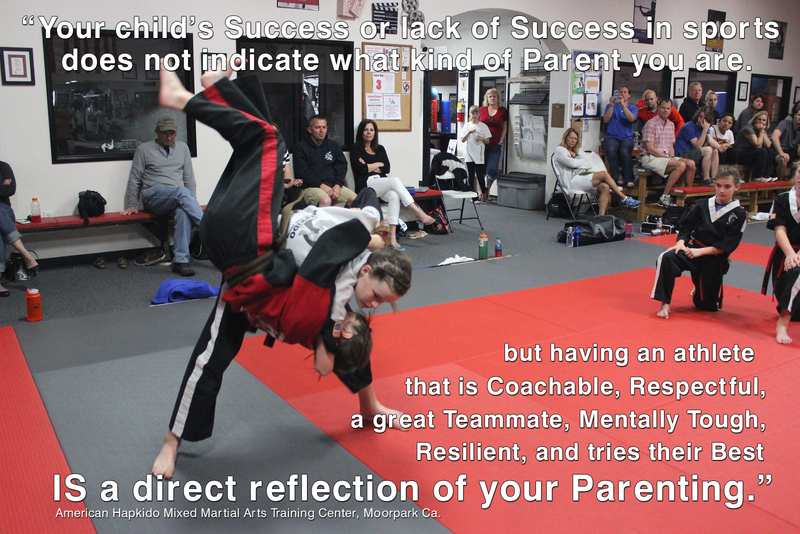 Our son has been going to American Hapkido MMA for almost 6 yrs now and it absolutely was the right choice for him and our family! It is not your typical Martial Arts studio where the kids just go through the ranks...aside from being a great Martial Arts school, they provide individual attention and support to all their students. Dan and Kimberly Anderson really go above and beyond! 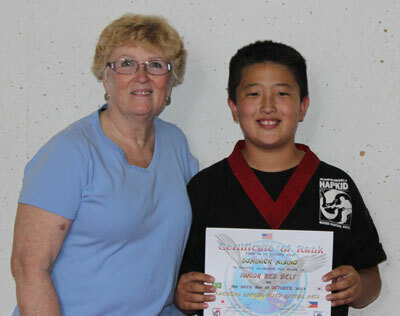 Our kids have been going to American Hapkido for almost 10 years now. Our son started when he was 5 years old. He had been diagnosed at age 3 with high-functioning autism (ASD autism-spectrum disorder). And then, when our daughter was 4 she started the Little Dragons program and she was diagnosed with attention deficit disorder ADD. When they say it takes a village to raise kids, this is the village to go to! Not only have they helped both kids with motor planning through the teaching of the different moves, but they have taught Wyatt and Paige to be better in control of their bodies, self esteem, respect and self accountability. We are so grateful to Dan Anderson and his staff for all the hard work they have done and continue to do to help Wyatt and Paige be fine upstanding kids that we are very proud of. I, personally, have great respect for what they do and have also gained wonderful friendships. I couldn"t ask for a better school outside of Paige and Wyatt"s academic schooling. I am forever thankful for all of them! 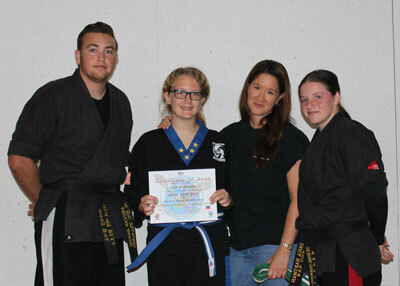 I have 2 girls that have been going to American Hapkido MMA for over 5 years now. 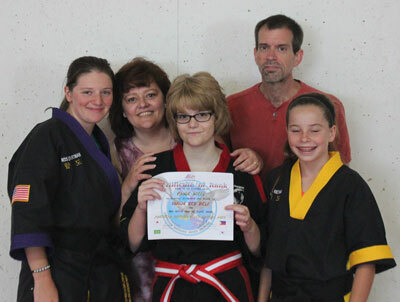 My 14 year old received her Black Belt in April 2013, and my 11 year old will hopefully earn hers this April. I cannot even begin to say how much the entire staff at American Hapkido have been like an extended family for us. My girls love coming to the studio every day. Both of my girls started with the after school program, and I cannot say enough good things about it. They gave time to work on homework and always helped them if the had any questions. After a while they stopped going to the after school program but always continued with karate. I have always been a big believer in respect for your elders, and at American Hapkido they are HUGE on that as well. The rules they have all kids learn as they grow in rank are the same values I have always instilled in my kids. We have tried other studios and were never entirely happy with them. Some studios we have tried will promote kids in rank based on how many classes they attend. American Hapkido only promotes kids when they deserve to be promoted. It is very clear they are only there to try to make kids better people and skilled in martial arts, not in it just for the money. If there is anyone out there that is considering starting their kids in a martial arts program, you will never find a better studio than American Hapkido MMA.